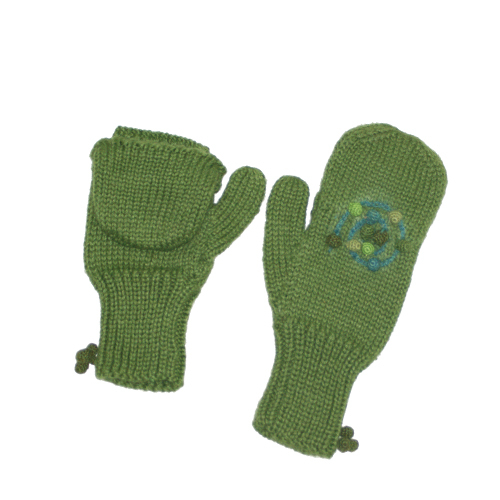 Category: Hip Hearts & Flowers, Sale, Texting Mittens. Tags: alpaca, meadow green, Mossy Maze, texting mitten, Toby. 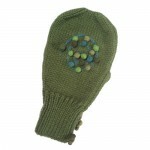 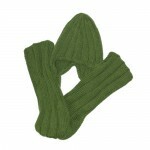 Texting mittens in meadow green with multi-colored crocheted pompoms Men’s and Women’s.